There is too much money in this league. It makes it hard for the small clubs who win the fight to come up. There are some good players on the plus side but it's very uneven. Pays De Galles. No L'Angllaise. tres important.. Bon chance mon ami...Forgive my French...Nous sommes Gallois....We have our own language. We are not English. 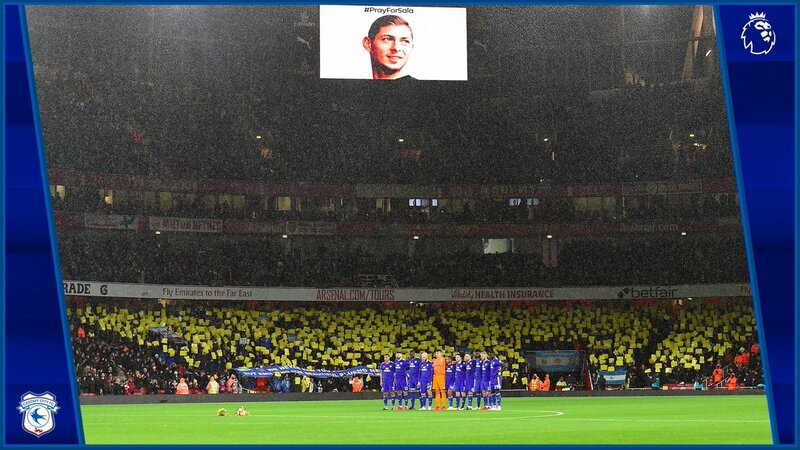 Tribute to Sala and solidarity to Nantes tonight. Away to Arsenal. Cardiff fans in this picture. All fans minute silence.